Valentine’s Day is over — are you ready to relax and celebrate your success?! I hope so! If you’re looking for a great way to invest in yourself and feed your creativity in a new way, please join Anne Bradfield and Jason Miller and me at the upcoming Slow Flowers Creative Workshop. It will take place in Seattle on March 6th and 7th and you can find a link to more details here. This intimate 2-day event is designed for creatives to boost their powers of language, narrative and storytelling — on the page and on video. We’re excite to share our expertise and help you develop your business and your brand – so check it out. Before we get started with today’s interview featuring a fantastic guest, I want to share a big announcement with you. 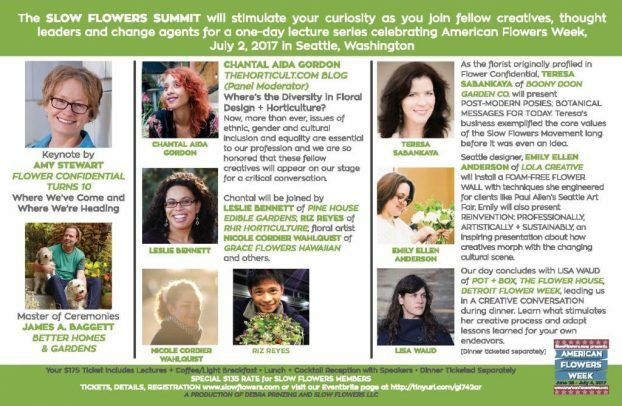 For years, I’ve been talking with a few of you about producing a “slow flowers summit,” essentially devoting time and space to gather thought leaders and change agents to discuss the momentum of the Slow Flowers Movement. Now, the timing is right to hold such a forum. 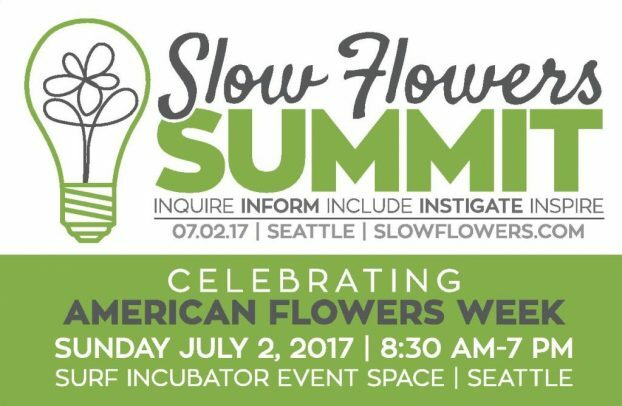 The 2017 Slow Flowers Summit achieves and recognizes many things. 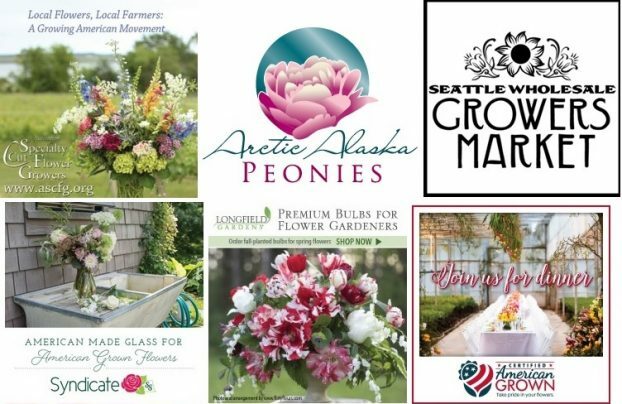 First, it coincides with American Flowers Week, our third annual campaign to promote domestic flowers, farms and florists, scheduled again to take place June 28 through July 4th. 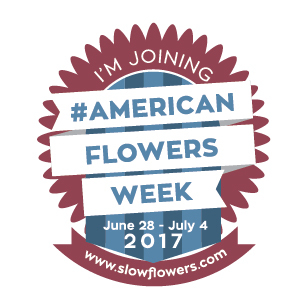 Holding the Summit during American Flowers Week allows us to celebrate and recognize the mission of Slow Flowers. Second, it allows people attending AIFD, the American Institute of Floral Designers annual conference in Seattle that week, to access high-quality, substantial American-grown educational programming that they will not obtain at their conference. And third, this year’s timing allows us to bring in keynote speaker Amy Stewart to commemorate the 10th anniversary of her influential book, Flower Confidential. 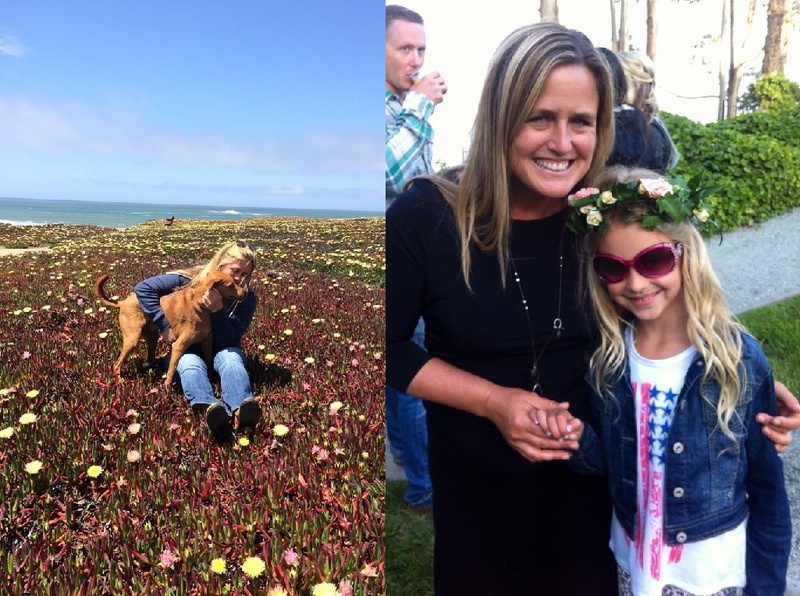 So many of you were inspired to change your own relationship with flowers after Amy published Flower Confidential in 2007 and we’re thrilled to bring her to the Summit. Our other speakers are pretty amazing, too. We have Teresa Sabankaya of Bonny Doon Garden Co., a past guest of this podcast and the florist originally profiled by Amy in her book. We’re honored to welcome award-winning garden blogger and author Chantal Aida Gordon of The Horticult blog, who will moderate a panel on Diversity in the Floral and Horticulture industries. 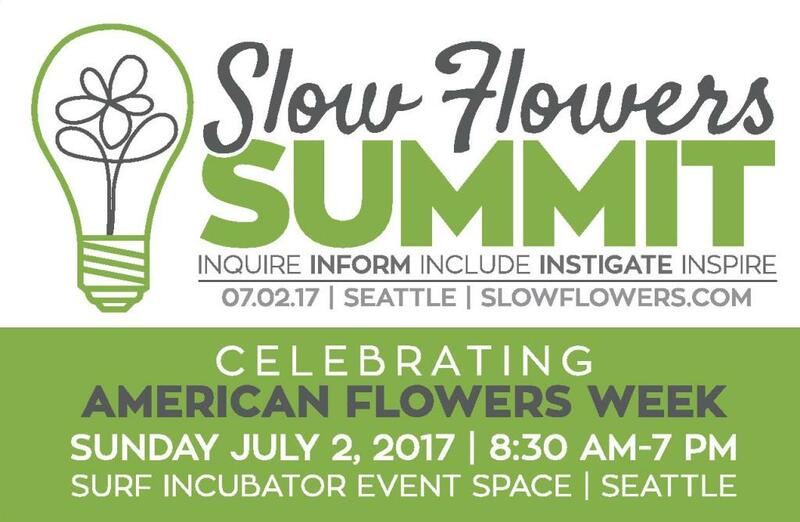 She’ll be joined by some great friends of Slowflowers.com, Leslie Bennett, principal of Pine House Edible Gardens in Oakland, Riz Reyes of RHR Horticulture in Seattle, also a past guest of this podcast, and floral artist Nicole Cordier Wahlquist of Grace Flowers Hawaii. Emily Ellen Anderson of Seattle’s Lola Creative will speak about “reinvention,” sharing her transition from landscape architect to floral and event designer, and our favorite flower rebel Lisa Waud of pot & box will bring the insights from her experience with The Flower House and Detroit Flower Week to lead a conversation on nurturing creativity. Emily and Lisa are both past guests of this podast. All of these important voices will be shepherded through the day by our very charming and charismatic master of ceremonies, James Baggett. He’s a top editor at Country Gardens and Better Homes & Gardens and is one of the most devoted to publishing my stories about flower farming across the U.S. We’re delighted he’ll be joining us as emcee and media sponsor. In the coming weeks we’ll host many of these speakers as guests, so expect to hear more as we build momentum for American Flowers Week and the Summit. Tickets are $175 for the day and we have a special rate for Slow Flowers members, so check it out. Okay, let’s turn to the inspiring Aimée Newlander. I first met Aimée in March 2015 while visiting Santa Cruz to spend time with Teresa Sabankaya. Teresa put together a little brunch and invited some of the area’s kindred spirits, people involved in the Slow Coast sustainable business community located along the fifty mile stretch of mountains & ocean in the midst of California’s famed coastline. 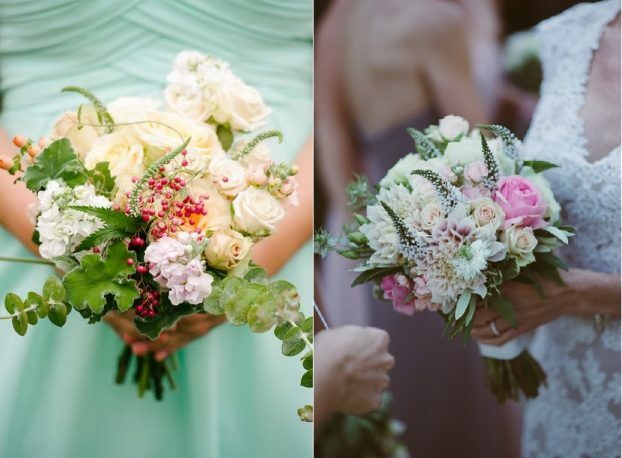 One of those attending was Aimée, a wedding coordinator with whom Teresa collaborates, when couples who work with Weddings by Aimée order locally-grown flowers for their ceremonies. Aimée told me she was using “the mindful planner” as a hash-tag and that she planned to soon launch a Slow Weddings forum. The two of us stayed in touch and continued to exchange ideas as her project took off and last August. When we held a Slow Flowers meet-up in Santa Cruz, Aimee joined us to share more details about the coming launch of the Slow Weddings Network. Fast forward to last fall and what began as a Facebook Group with 100 members has evolved into the nonprofit Slow Weddings Network. Here is the description — I think the mission will resonate with many of you in the Slow Flowers community. We seek to shake up the status quo of the wedding industry, to reclaim the sacred space for couples who are seeking authentic and “present” weddings. But, more than that we are the nexus for a movement that is long overdue. It’s about educating from the inside out. Own what you are passionate about. We are about having high standards, education and building and bringing awareness to the masses. 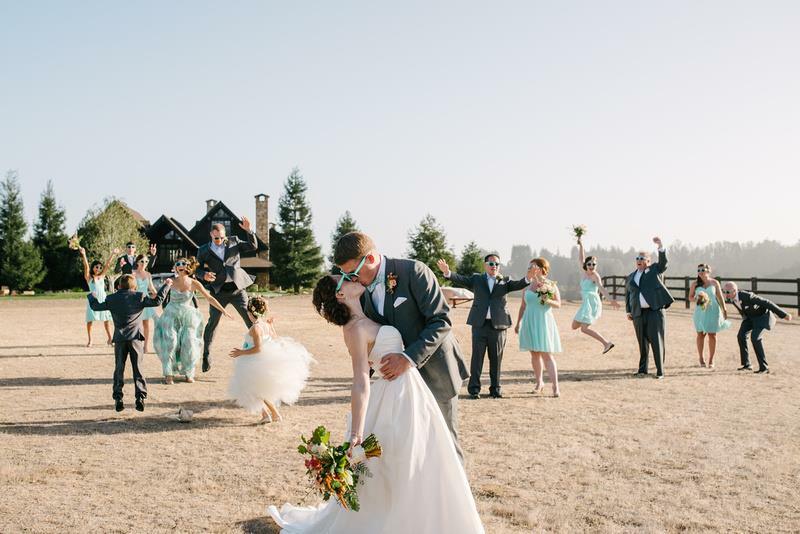 You don’t have to have a fast wedding…. you can be well, enjoy the process and end with a wedding celebration you are present for, participate in, enjoy and will remember for the rest of your life. “Slow Weddings Network” is a not-for-profit membership organization made up of wedding vendors around the world. Its directory of vendors includes wedding professionals, artisans, musicians and Mom & Pop shops and other small businesses. Wellness, adventure and other ‘experience’ vendors that will enhance destination weddings are also included. 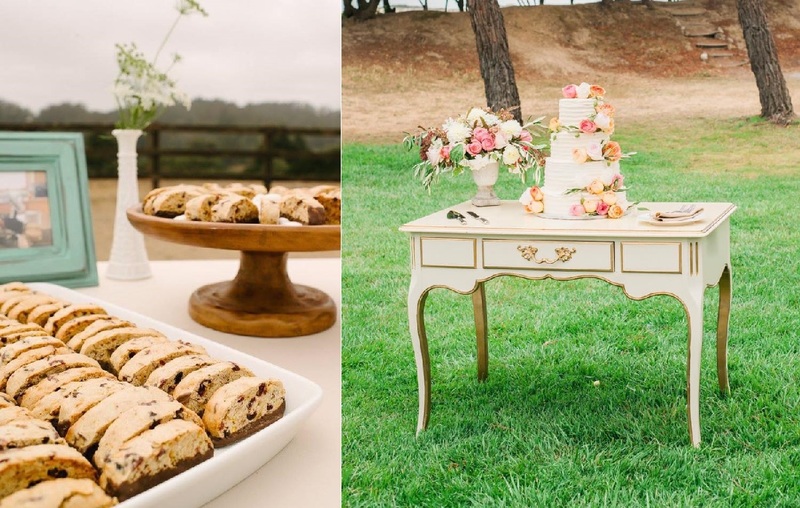 Artisan sweets, from Slow Weddings Network bakeries and pastry makers. She left a very successful career in and around the health and wellness corporate world to pursue a long-standing passion for organizing and managing events. That led to the founding of Weddings by Aimée in 2009 and her ‘mindful planning’ approach. She knows that educating couples on how to feel prepared and organized for their ceremony and how to prioritize choices is so important. Her business quickly grew, thanks to creativity and possessing a true artistic flair that has helped organize all types of individualized weddings — from intimate and organic affairs to glamorous and opulent occasions. Aimée’s professionalism, warm personality and superb eye for detail means that couples and their families are able to truly relax and enjoy the planning process without having to worry about a thing on wedding day. Aimée considers herself a “Destination wedding planner”, specializing in areas such as Lake Tahoe, Big Sur, Carmel, California coastline as well as International locations (Italy, France, Mexico). “Team” is a big part of who Aimée is, from her time playing international Soccer, to her passion for collaborating with other vendors at her events. She has managed budgets in the hundreds of thousands of dollars, cultivated stakeholder relationships for large scale events, and offers expertise in venue sourcing and procurement. One of Aimée’s passions is developing venues from a raw space, molding a larger vision from scratch. 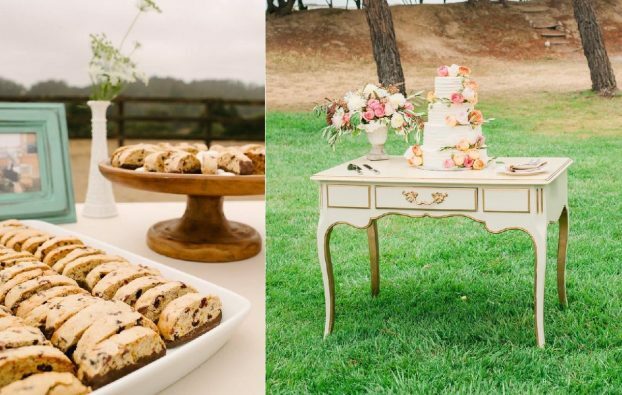 She’s applied her passion, vision, and skills to founding the Slow Weddings Network, and hopes to see the global movement grow into a well known organization. 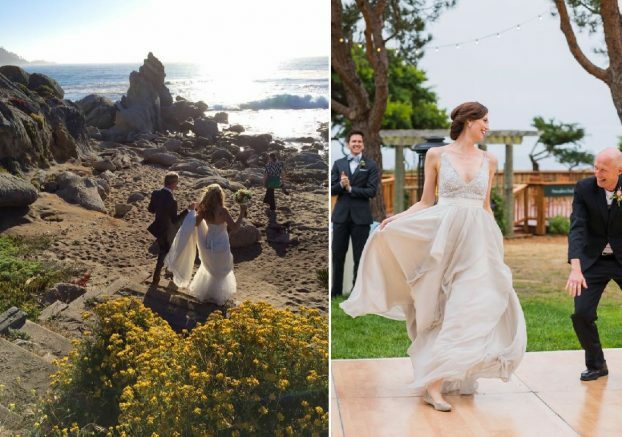 Dreamy venues and beautiful attire for Slow Weddings ceremonies. The Slow Flowers Podcast has been downloaded more than 158,500 times by listeners like you. This entry was posted on Wednesday, February 15th, 2017 at 8:44 am	and is filed under American Flowers Week, American Grown, Blog Posts, Creativity, floral design, Plants, Podcast Episodes, SLOW FLOWERS Podcast, Slowflowers.com the Directory of American Flowers, Storytelling, Writing. You can follow any responses to this entry through the RSS 2.0 feed. You can leave a response, or trackback from your own site.